As the end of 2017 approaches, it’s time to start thinking about how you can best set up your accounting and finance team for the year ahead. Beyond the normal tasks involved in closing the books, here are five ways to ensure that you will hit the ground running in 2018. January 2018 will bring some of the biggest regulatory changes in years. ASC 606 is going to introduce a sweeping new revenue recognition model that will affect many finance teams’ day-to-day activities. Financial services will see a new leverage ratio go into effect as part of a change to Basel III rules. Beyond those changes—both of which have been years in the making, hopefully giving you time to prepare—make sure you’re compliant with new local regulations. Here in New York, for example, a number of changes to the tax code and the introduction of a new family leave policy will affect our accounting. It’s the most wonderful time of the year… for analyzing budgets! Take advantage of the fact that you’re already in the weeds with 2017 and take a look at how well your expectations for spending performed against your actual spend. Ideally you’ll not only discover opportunities for efficiency, but establish a real time analytical process that helps you adjust budgets continuously going forward. The end of the fiscal year is insanely busy. Implementing new software is the last thing you’d like to spend time thinking about. But while work may be hectic, the end of the year is also a natural crease in your operational calendar and a great time to commit to a systemic change in your technology. 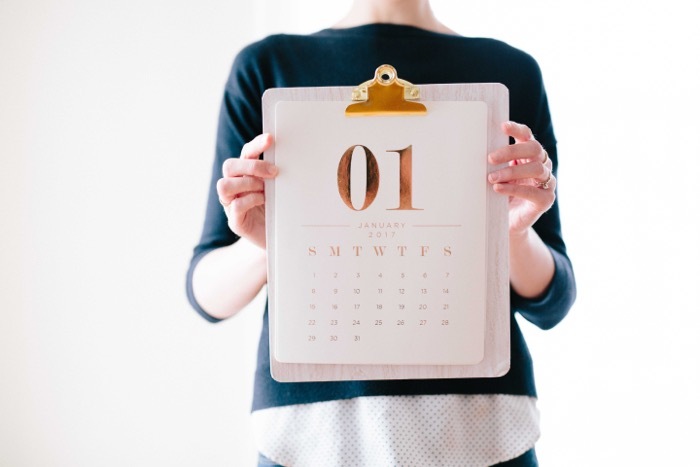 Yes you’re busy, but the goal is to hit the ground running in the new year. That’ll make your life much easier a year from now. New year, new workflows and procedures. If your team has been eyeing a change to the way you operate, now’s the time to make sure everyone is clear on how that change will be implemented. That means setting up you have whatever infrastructure you need, but also drafting notices and explainers to make sure everyone is bought in. Answer questions now so that come Q1, your new systems can take effect smoothly. New Year’s resolution? Who keeps those? To start your year off right, don’t spend another day putting off all those personal and habitual changes you’ve been thinking about. Start your new exercise regimen / sleep schedule / healthy diet today. Or… maybe later this week. That’s fine too. Lastly, make sure that this time of year energizes your team and gets them excited for next year. It’s easy to get caught up in the drudgery of year-end reconciliation and all the related minutiae, but a motivated team at the end of December is one ready to commit to new workflows, embrace new technology, and maybe get a little healthier at the beginning of January.